Digital ad spending in the US will total $58.61 billion this year, and retailers’ ad outlays will comprise 22.0% of that figure, or $12.91 billion—by far outpacing all other industries—according to new figures from eMarketer. Advertisers in the automotive business will spend $7.30 billion on digital advertising this year, the second-largest sector at 12.5% of the US market. Following close behind are financial services advertisers, which will spend $7.19 billion on digital ads in 2015, or 12.3% share. Notably, auto advertisers surpassed financial services in digital ad spending to reach the No. 2 position for the first time this year. This is the fourth annual edition of eMarketer’s “Digital Ad Spending Benchmarks by Industry” report series—and it is the most detailed yet. 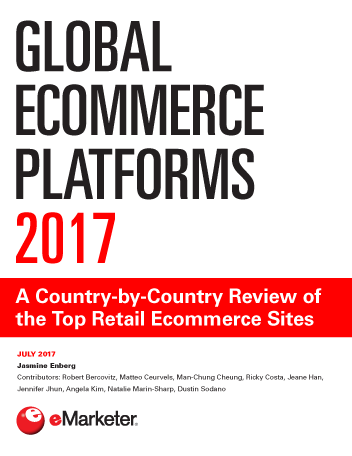 As in previous years, it is based on an exhaustive analysis of hundreds of data sources as well as in-depth interviews with executives at ad agencies, brands and digital ad sellers—more than 60 interviews in all for the 2015 edition. In addition to forecasts for total digital ad spending, mobile vs. desktop spending and spending by objective, this year we also have added estimates for ad spending by format (including digital video) and programmatic display spending by industry. Retailers will spend nearly twice as much as any other industry on mobile advertising in 2015, and the sector’s $6.65 billion will represent 23.2% of the $28.72 billion that advertisers in the US will spend to reach consumers on mobile devices this year. As consumers continue turning to multiple screens for research and buying while at home, in-store and on the go, retailers are increasing efforts to reach them throughout the purchase process. A vast majority of retail sales are still occurring in-store—just 7.2% of US retail sales will come via ecommerce in 2015, eMarketer estimates—so omnichannel efforts are often bolstered by mobile ad spending directed at driving visits. In terms of programmatic buying, retailers stand even further apart from other industries. In 2015, the US retail industry will spend $3.71 billion to purchase digital display ads programmatically, which accounts for 24.9% of the $14.88 billion US advertisers will spend on programmatic buys this year. The consumer packaged goods (CPG) and consumer products category is the second-largest sector for programmatic buying, and 63% of digital display ads among advertisers in that industry will be purchased programmatically in 2015, eMarketer estimates. With more than $2 billion in programmatic spending this year, CPG will account for 14.1% of all programmatic display dollars in 2015, compared with only 8.5% share of digital advertising overall. According to one advertising executive interviewed for eMarketer’s report, CPG brands are “driving the shift into programmatic [and] also demanding better accountability for viewability and measurement.” As one example, Procter & Gamble announced in 2014 that it would dedicate 70% of its digital ad budget to be purchased programmatically, a key driving factor for these figures. When it comes to digital video, the retail industry will account for 19.9% of the $7.77 billion to be spent on digital video ads in the US this year, less than its overall share of the digital ad market. 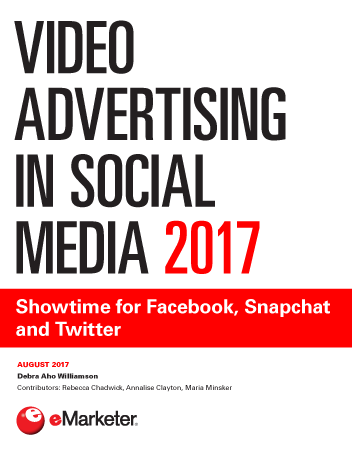 The auto industry is the second-largest spender on digital video advertising, allocating $1.10 billion this year, or 14.6% of all digital video ads. In the auto sector, video is helping drive total spending growth, and it is increasingly being used as a key component of product launch campaigns. 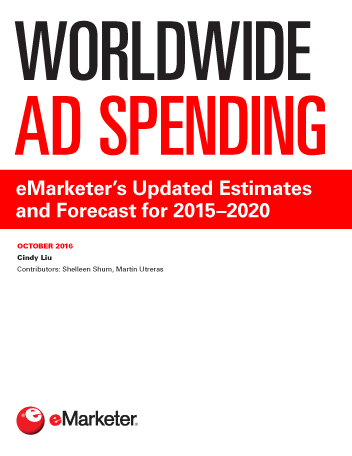 This is the fourth annual edition of eMarketer’s industry ad spending breakdown. It is based on an exhaustive analysis of hundreds of data sources as well as in-depth interviews with executives at ad agencies, brands and digital ad sellers. In addition to forecasts for total digital ad spending, mobile vs. desktop spending and spending by objective, this year we also have added estimates for ad spending by format (including digital video) and programmatic display spending by industry.